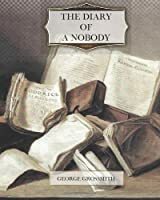 We don't have a description for The Diary of a Nobody, but if you head over to Amazon they'll be able to tell you what this book is about! I agree with red13x's review. Not bad; silly; fond characters; contrived ending. Not a bad little book, it made me smile in a few places and I grew to like a few of the characters. The ending was a little far fetched when compared to the rest of the book, but overall I liked it. I'd definitely recommend reading it.